The lack of timely and high-quality agricultural data is handicapping efforts to implement the UN’s sweeping Agenda for Sustainable Development. This is why FAO is joining forces with a wide group of partners — including the World Bank, the Bill and Melinda Gates Foundation and the United States Agency for International Development (USAID) — to weave existing agricultural data collection efforts together into a more cohesive global program, one that can help drive progress towards the second sustainable development goal, the complete eradication of extreme hunger. Each year around $240 billion is invested in agriculture in low and middle-income countries, but critical investment decisions are being taken in absence of a sound information base. Agricultural data collection remains weak in many countries, even for basic data items. Indeed, a majority of the world’s poorest 75 countries have not conducted any agricultural annual surveys or censuses in the past 15 years. 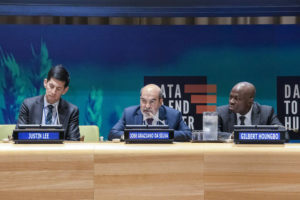 “We need to do much more to close the entire data gap regarding low and lower-middle income countries,” the FAO Director-General said. During the event – organized by the Governments of Ghana, Kenya and Sierra Leone, FAO, the International Fund for Agricultural Development (IFAD), the Global Partnership for Sustainable Development Data and the Bill & Melinda Gates Foundation – a major international push to direct more funding into agricultural data collection was announced. The new “50 x 2030” initiative represents the biggest effort made to date to fund agricultural data collection, with a target of raising $500,000 to support of that cause. Forming the backbone of the “50 x 2030” initiative are two existing and tested survey approaches, FAO’s Agricultural Integrated Surveys (AGRISurvey) and the World Bank’s Living Standards Measurement Study’s Integrated Surveys on Agriculture (LSMS-ISA). “50 x 2030” will bring these two tools together within a multi-institutional partnership that is aiming to make improved agricultural data available in 35 countries by 2025 and in 50 countries by 2030. FAO’s AGRIsurvey is farm-based system of surveys that collects data on the economical (production, area harvested, productivity, cost of production), environmental (use of land, water, fertilizers, pesticides) and social (income, labor) dimensions of agriculture. 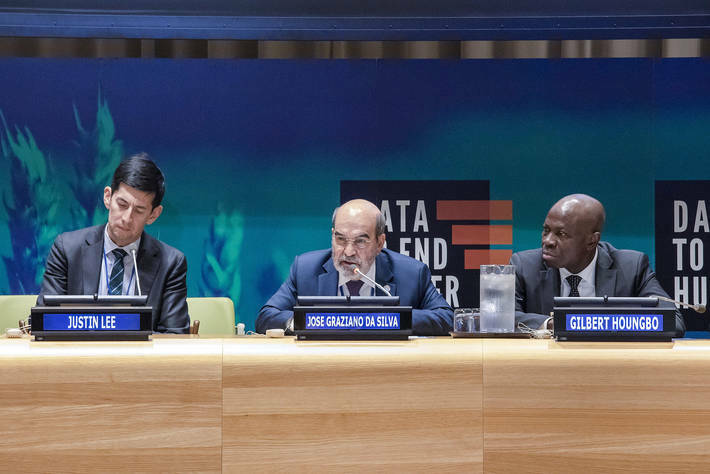 “FAO’s AGRISurvey allows countries to track progress on at least four SDG targets, such as labour productivity and income of small scale holders (SDG 2.3), agricultural sustainability (SDG 2.4), women’s ownership on agricultural land (SDG 5.a) and food losses (SDG 12.3),” Graziano da Silva noted. FAO is already implementing AGRISurvey in 10 countries thanks to support from the United States Agency for International Development (USAID) and the Bill & Melinda Gates Foundation, and is looking to expand that to 19 more countries by 2021.